We are delighted to announce that The Cycle Company, of New Street, Chelmsford, Essex are now official stockists of the Batribike range of Electric Bikes. The Cycle Company is a family business established in 1902 which prides itself on customer service. We popped along today to take some pictures for a press release and to see their window display. We are very pleased to welcome Michael and the team on board. The first ever Brit to win the Green Jersey in the Tour de France. That is quite something and I'm sure he will remember that day forever. British cycling has taken on quite a resurgence over the last few years, the success of the British Olympic Cycling Team has encouraged mere mortals out onto their bikes either in competition or for leisure. This interest in cycling has also spilled over into electric bikes with customers wanting to join the cycling revolution. Indeed the feeling that assisted cycling gives you is that you too could be an Olympic cyclist, especially when ascending hills. I met Boris at Madam Tussauds yesterday and tried very hard to engage him in conversation about electric bikes but he was waxing lyrical about the TfL Barclays bikes! 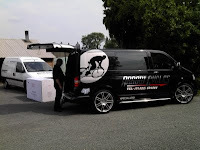 The busy week at Batribike continues as Arrow Cycles came to restock. Arrow Cycles, based in Lincoln, are our nearest dealer, Paul enjoys the drive into the countryside to visit our showroom and warehouse. The staff at Arrow Cycles are all keen cyclists and will be happy to advise customers on their purchase. 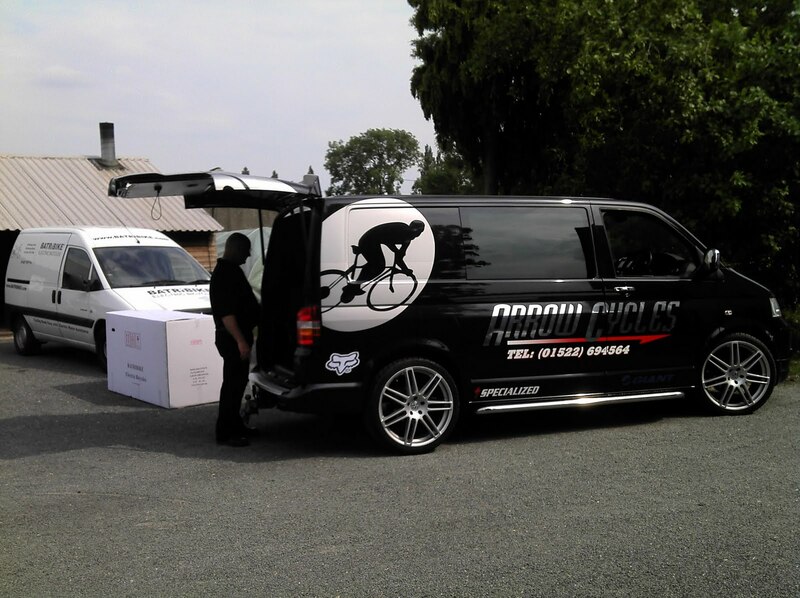 In the picture the very smart Arrow Cycles van being loaded. 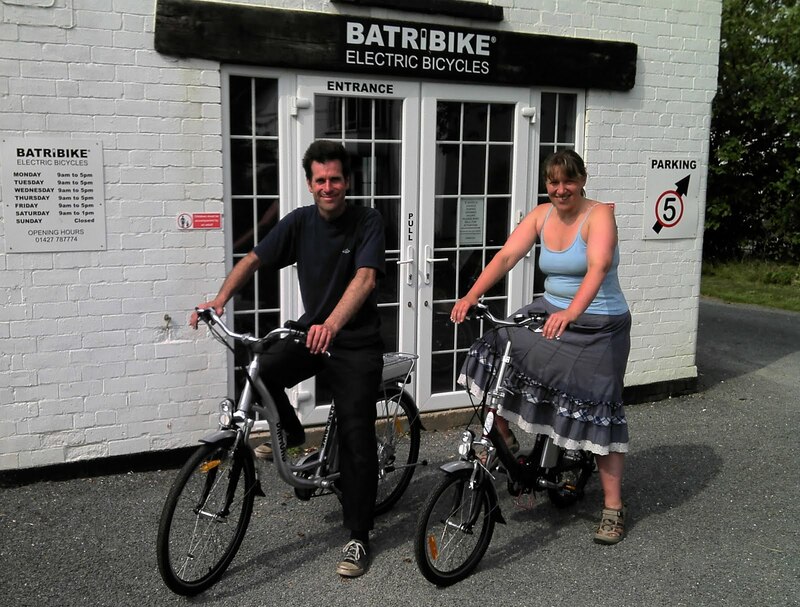 "Electric bikes are a fun, practical, low-carbon means of transport"
The Clean Energy Centre based in Newtown, Powys are passionate about helping people to reduce energy consumption and carbon emissions and are keen electric bike owners. Jeremy and Jo visited the Batribike Showroom this week to view and test ride the full Batribike range. The weather was glorious and it was a great opportunity to really try out the paces of the bikes. Full contact details can be found on the 'where to buy' section of the Batribike website. Things have been very busy at Batribike this week. We had a big delivery of bikes on Monday many of which went straight out to dealers so they should be in the bike shops now. 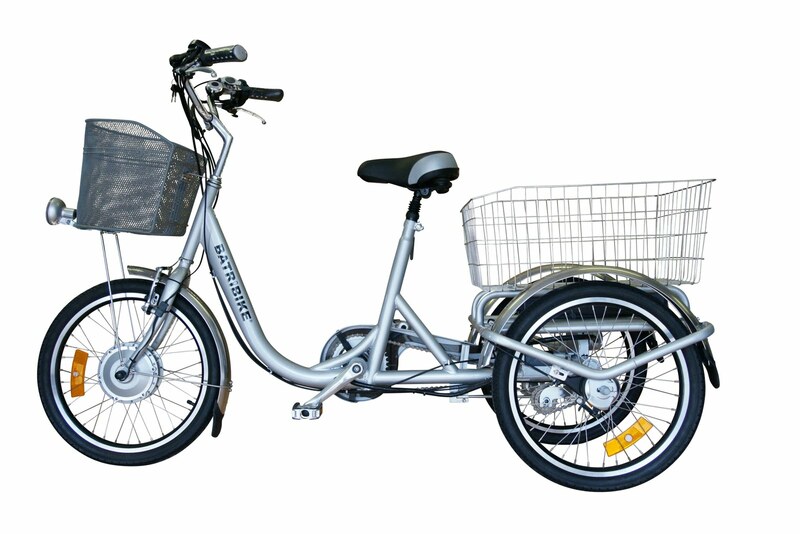 Electric Trikes are rapidly gaining in popularity with all the Trikes in the latest delivery being pre-sold and Trikes from the next delivery at the end of July already being reserved. Our next show is the Northern Motorhome Show at the Cheshire Showground near Knutsford from 15th to 17th July.